On 11th Dec 1913, Queen Alexander Dowager, Queen of Edward V11 planted 2 trees at Ferraris restaurant. Ferraris decided to commemorate this by inviting her granddaughter, Princess Alexandra, to plant another tree! Never expecting a response from the palace, they actually replied and said she would love to do it! 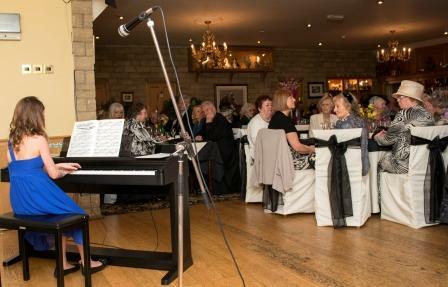 300 guests were invited from all over Lancashire, from various clubs and organisations. The ladies were invited to wear hats and everyone really dressed up. 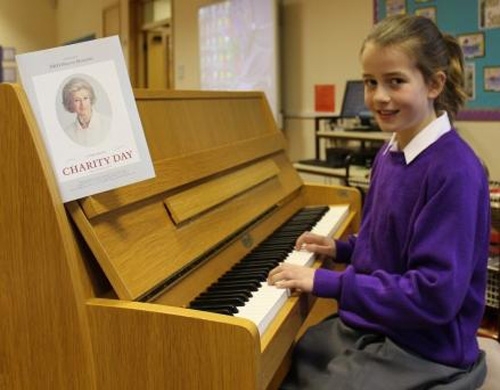 Poppy Blackhurst, (5W) has been having piano lessons with Carrie Steingold for 2 years. Carrie teaches students in classical piano and singing and always stays at Ferraris and knows the family well. During the planning of the event, she offered to provide the music and have her students play for the Princess. 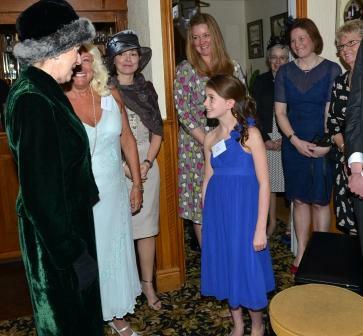 Each student picked one of their favourite pieces and played for the princess and then again in the afternoon for the 300 plus guests who stayed for lunch. Poppy played ‘The Breakers’ which is her favourite piece and resembles the surging tide as it rolls over the shore. What a wonderful experience for Poppy – well done!